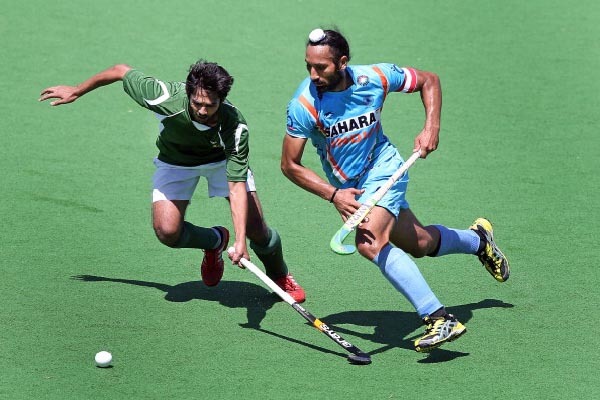 KARACHI, Sept 12 (APP): Pakistan-Indian hockey teams are all set to face each other as Asian Hockey Federation (AHF) announced the schedule of Men’s Asian Champions Trophy-2016. The tournament takes place in Kuantan, Malaysia from 20 to 30 October 2016 in which top six Asian men’s teams are all set to feature. The Asian Hockey Federation is also announced that the event will have full TV production, and will be the first AHF tournament to operate a video referral system. teams of the continent for a battle for continental dominance less than a year ahead of the 2017 Asia Cup. Eastern coast of Malaysia, the tournament sees the Malaysian hosts take on continental giants India and current title holders Pakistan as well as Korea, China and Japan, within the top class facilities of the Wisma Belia Hockey Stadium. for 8,000 spectators Over the eleven days of the event, the teams will first play each other in a round robin, followed by semi-finals and placement matches. On the opening day, 20 October 2016, the Malaysian home team will start their tournament against Pakistan, winners of the last edition of the event, followed by India opening their campaign against Japan. Pakistan’s schedule: Thursday October 20, Malaysia vs Pakistan, India Vs Japan, Friday (October 21), Pakistan vs Korea, Sunday (October 23), Pakistan vs India, October 25 (Tuesday) Pakistan vs Japan, October 27 (Thursday) Pakistan vs China. Final on October 30 (Sunday).